This is really exciting: The Tyrannosaurus Rex named Sue is coming to the Montshire Museum of Science in Norwich! Well, a replica of it, from May 17th through September 7th, 2014. Sue was a Tyrannosaurus rex that roamed North America about 67 million years ago, one of the last dinosaur species and one of the largest flesh-eaters ever to have inhabited the Earth. The “tyrant lizard king,” with its extraordinarily powerful jaws and massive serrated steak-knife teeth, still dominates popular perceptions of the Age of Dinosaurs. Sue the T. rex is named for Sue Hendrickson, who discovered the dinosaur near Faith, South Dakota, during the sum- mer of 1990. Shortly after its discovery, the fossil became the center of an intense ownership dispute. A protracted court battle ensued, and the court ruled that Sue belonged to the rancher on whose land she was discovered. The rancher decided to sell Sue at public auction. To ensure that Sue would be preserved for future generations of scientists and visitors, The Field Museum in Chicago purchased Sue for $8.4 million at auction in 1997. After spending more than 30,000 hours preparing the more than 250 bones and teeth in Sue’s skeleton, The Field Museum made exact, fully articulated replicas so that people around the world would have the opportunity to view and study Sue. Previously, only a handful of partial T. rex specimens had been found, none more than 60% complete. At 90% complete and exquisitely preserved, Sue is the most celebrated example of its species, permitting more detailed studies of the biology, growth, and behavior of a T. rex than previously possible. The Exhibition brings Sue to Vermont with a “fully articulated cast skeleton of Sue mounted on a stage, with a graphic backdrop, and a reading rail”. The exhibit will also include touchable casts of Sue’s arm bone, tail bone, and rib, interactive activities that let visitors interpret surface features and anomalies of Sue’s bones, interpretive graphics and text that relate the stories of Sue’s history, from discovery to display, and incorporate actual headlines, news articles, and behind-the-scenes photos taken at The Field Museum. This looks AWESOME. Full details here. 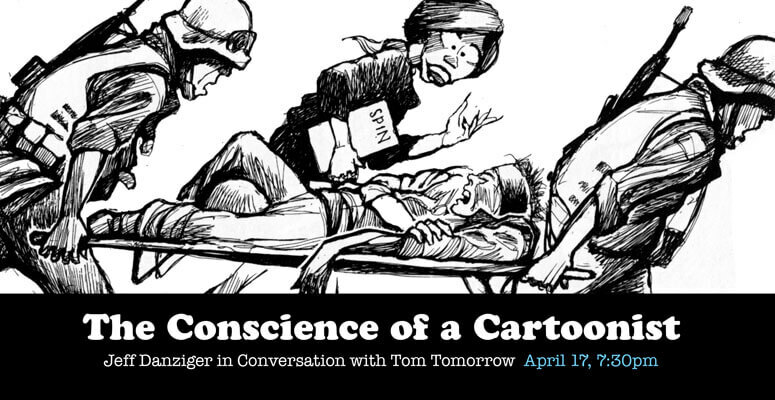 The Center for Cartoon Studies will host Jeff Danziger for an interview with Tom Tomorrow. Danziger has recently released a book titled The Conscience of a Cartoonist, described as a ” a searing account of America in the aftermath of 9/11″. The talk will take place on Thursday, April 17 at 7:30pm at the Norwich Congregational Church in Norwich. JEFF DANZIGER is a political cartoonist syndicated by The New York Times worldwide. Originally from Vermont, Jeff lives and works in New York. He was finalist for 1993 The Pulitzer Prize, awarded the 2006 Herblock Prize, the 2008 Thomas Nast Prize, and is a decorated Vietnam veteran. He has produced ten books of cartoons, a children’s book, The Champlain Monster, and a novel about the Vietnam war. The latest from the lauded political cartoonist is a coffee-table collection of his post-9/11 editorial cartoons with extensive, educational commentary. The Conscience of a Cartoonist collects the lauded editorial cartoonist’s post 9/11 body of work. Danziger documents, via cartoons and extensive, educational commentary, the tragedy of that day and the politically disorganized response that followed. This coffee-table book is also his exegesis on the art of editorial cartooning. Fantagraphics will release the book on April 17! TOM TOMORROW (A.K.A. DAN PERKINS) is the creator of the weekly political cartoon, This Modern World, which appears in approximately 80 newspapers across the U.S., and on websites such as Daily Kos, Truthout and Credo. He received the firstplace Robert F. Kennedy Award for Excellence in Journalism in 1998 and in 2003. This looks like it could be quite the event. Cartoons and satire are excellent means of expression, and the last decade has brought a wealth of material to examine, criticize and contemplate. This event is free for all. 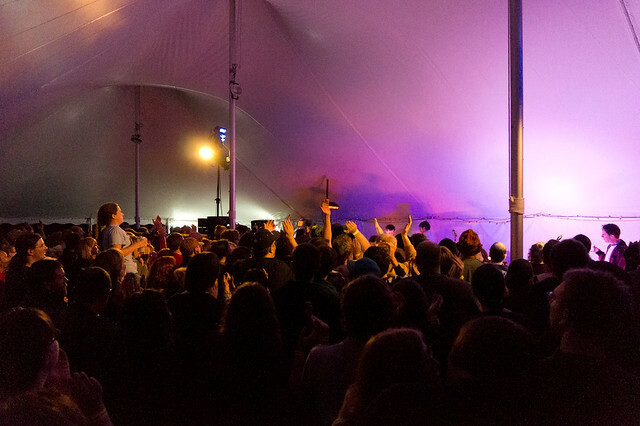 They Might Be Giants performed at the Upper Valley Events Center in Norwich Vermont on Sunday, September 11th. Photo by Ian Albinson. They Might Be Giants, with Jonathan Coulton opening, performed at the Upper Valley Events Center in Norwich Vermont on Sunday, September 11th. Photo by Ian Albinson. 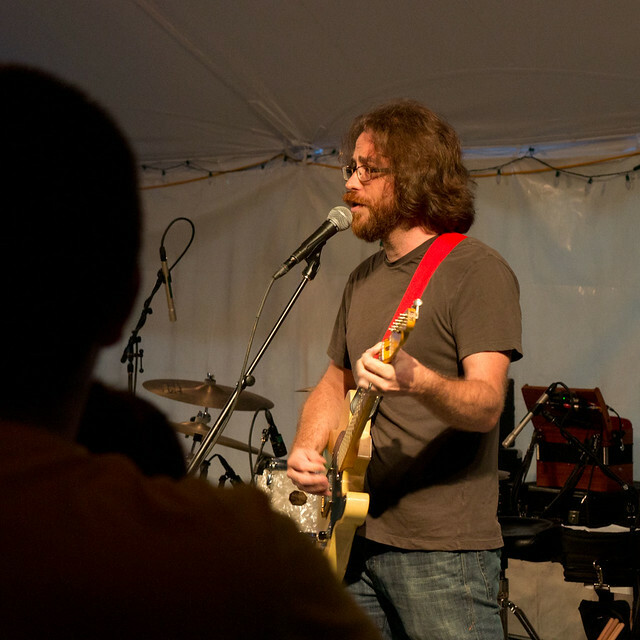 Jonathan Coulton, performing at the Upper Valley Events Center in Norwich Vermont. Photo by Ian Albinson. Jonathan Coulton & They Might Be Giants! Last night, my wife and I drove down to see the double act of Jonathan Coulton and They Might Be Giants, down at the Upper Valley Events Center in Norwich Vermont. 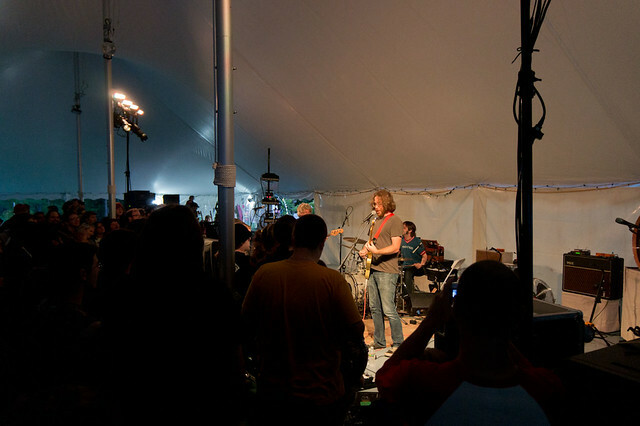 It was a night of fun, geeky humor and music, something that I’d very much like more often here in the Green Mountains. Coulton’s long been an artist that I’ve been a fan of, and it was awesome to see him again in person. Prior to the show, I ran into Bill Simmon, who runs the PoliSciFi Radio Show, and his wife, Emily, and I thought that I saw a couple of the GeekMtnState people in the crowd, although I didn’t get a chance to track anyone down. #VTGeekMeetup was a bit of a bust, unfortunately, but it was nice to see a gathering of geeky folks there. Coulton’s set was excellent, humorous and far too short: he was on for only about a half hour, but he hit all of the fantastic songs that he’s done over the years: Skullcrusher Mountain, Code Monkey, Nemesis, Good Morning Tucson, Shop Vac and a couple of others. If you’ve yet to see him in person, go: I couldn’t stop laughing between songs. Hopefully, he’ll swing our way again at some point. They Might Be Giants were also quite a bit of fun to watch. I knew all the words to Coulton’s songs, but none of these guys, as I’ve never really listened to them extensively before. Their stage show was also fantastic, hilarious (especially the sock puppets), and so forth. They had an excellent, energetic set that cycled through some of the songs that I knew (Istanbul, Not Constantinople), and a bunch that I didn’t, and it was nice to sit back and listen, rather than reviewing their show. It was a great show, although I ended up forgetting to take pictures or video, for the most part. Anyone else grab anything? 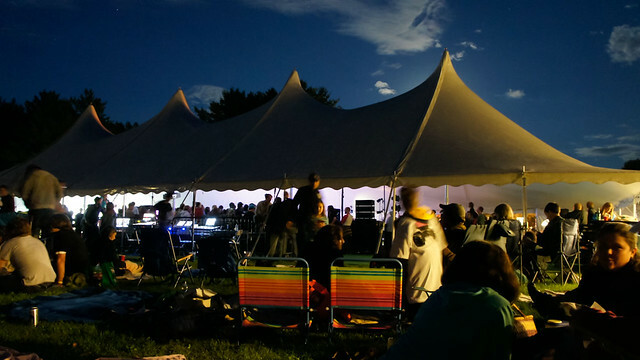 Reminder: They Might Be Giants and Jonathan Coulton Concert! A bit of a reminder, if you’re just joining us, Jonathan Coulton will be opening for legendary Geek rockers They Might Be Giants down in Norwich, Vermont, at the Upper Valley Event Center, this coming Sunday, on September 11th. Definitely a show that shouldn’t be missed. I can’t wait. For tickets: $27 in advance, and $35 at the door. Buy online tickets here.